Send some e-mails. As the health center advised us, “DON’T PANIC!” You are not about to fail all of your finals, and there are resources available. Most importantly, your e-mail. 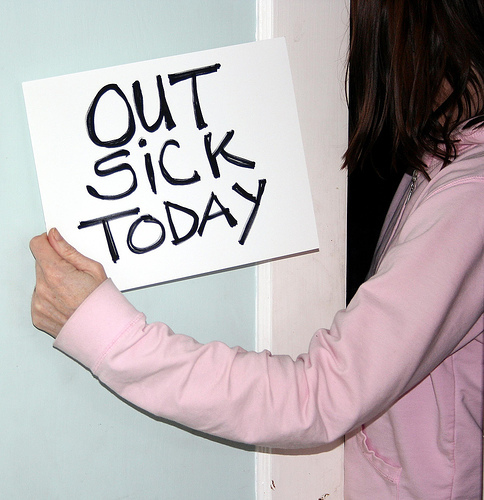 Send out an Allstu to let everyone know that you’re ill and you won’t be out and about. You know they’ll miss you, but you need to do what’s best for you–which is obviously watching The Wolf of Wall Street and eating goldfish. Don’t forget to hit up your professors and let them know what’s up. Isolate yourself. Additionally, “DON’T PANIC!” Isolating yourself will not be hard, because you’re disgusting and no one wants anything to do with you right now. Stay in bed, ask friends to slip cheese under your door, drink lots of water, and take tylenol to help relieve your aching bones. Four. More. Days. Lastly, “DON’T PANIC!” Life moves on, odds are your finals will go swimmingly, and soon you’ll be home with cute lil dogs who want to snuggle with you while you barf.